Not all gutters will clean up after a house washing or pressure washing. 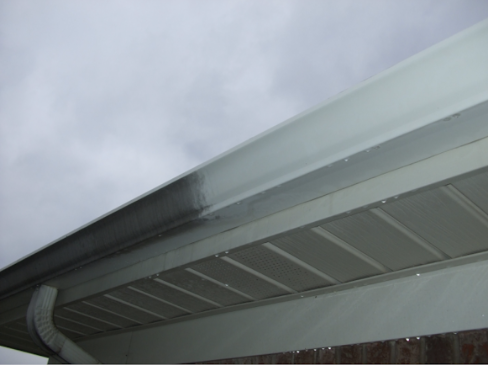 The paint on many gutters become oxidized over time causing “tiger stripes” and lines in the paint finish. This can not be removed or cleaned no matter how hard you scrub with a brush unless the proper chemical is used to break the bond of the dirt and oxidation. Rather than re-painting, we can restore the finish on gutters 90% of the time. Our process is cleaner and faster than painting and more cost effective. Using a special soft bristle brush we provide a deep clean. After cleaning this gutter only brush we are then use soft pressure washing for a just installed look.